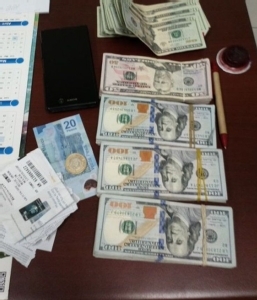 Customs office in El Salvador seized $35,000. UNODC's regional office in South Eastern Europe is building the regions capacity in fighting money laundering and terrorist financing. 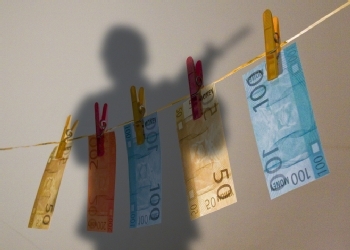 UNODC has posted a regional anti-money laundering and counter terrorism financing adviser in South Eastern Europe, to have a consistent strategy in the in tackling these crimes within the region. To see the video on the office's activities please click here. UNODC's Global Programme on Cybercrime and the Global Programme against Money Laundering, the Proceeds of Crime and the Financing of Terrorism (GPML) are pleased to launch the Cryptocurrency Investigation eLearning course in English. The course is also available in ARABIC, FRENCH, HUNGARIAN, RUSSIAN, SERBIAN, SPANISH, and THAI. The eLearning course is the initial component of UNODC's Cryptocurrency Investigation Training Programme and is available in the above mentioned languages. The objective of the eLearning course is to develop the knowledge of analysts, law enforcement officers, prosecutors and judges regarding the topic. In addition, the course explains how cryptocurrencies, including Bitcoin, work by focusing on the key definitions, internal mechanics of cryptocurrency and the blockchain ledger. This course will explore the ecosystems of Bitcoin and other popular cryptocurrencies, whilst addressing and reviewing community regulations (or lack of) and wider governmental controls. The eLearning package provides an essential backdrop for those who proceed to undertake classroom-based cryptocurrency investigation training. 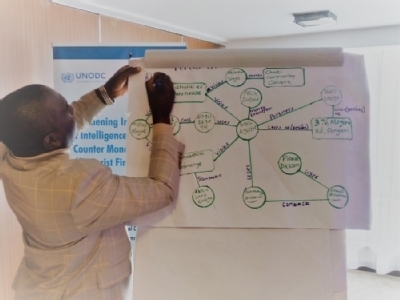 Building a strategic partnership platform between each attendee is a key priority for UNODC. This course will increase the knowledge and skills of the experts whilst helping share best practice of how to develop blockchain-based international investigations. To browse the course in English, click here; To browse the course in Spanish, click here; To browse the course in Arabic, click here; To browse the course in Thai, click here; To browse the course in Hungarian, click here; To browse the course in French, click here; To browse the course in Serbian, click here; To browse the course in Russian, click here. Common Law Legal Systems Model Legislative Provisions on Money Laundering, Terrorism Financing, Preventive Measures and Proceeds of Crime. Tracking the Ilicit Financial Flows from Pirate Activities off the Horn of Africa. 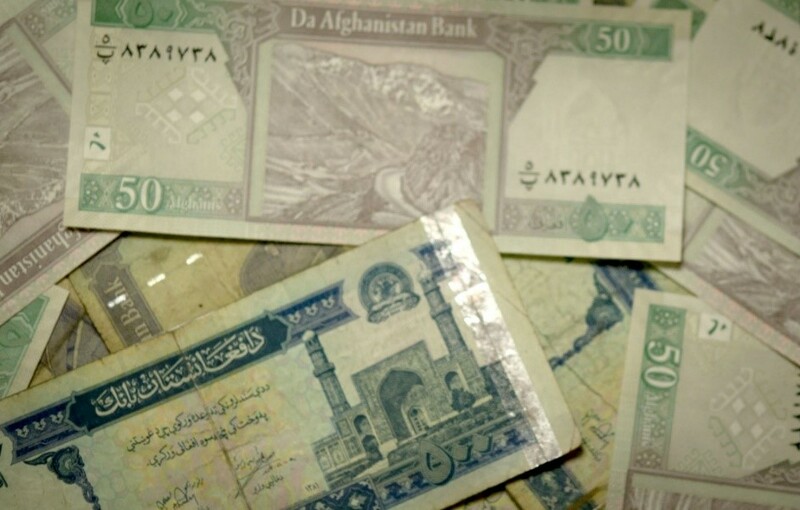 A UNODC, World Bank and Interpol Joint Study. IMoLIN is an Internet-based network assisting governments, organizations and individuals in the fight against illicit financial flows, money laundering and the financing of terrorism. IMoLIN has been developed with the cooperation of the world's leading anti-money laundering organizations. Included herein is a database on legislation and regulations throughout the world ( AMLID), an electronic library, a calendar of events in the anti-money laundering / countering the financing of terrorism fields and a case law database. Please be advised that certain aspects of IMoLIN are secured and therefore not available for public use. Various types of scam emails or letters purporting to be from or associated with IMoLIN and/or UNODC have been circulating requesting fees for the transfer of money. In some cases the UN and UNODC logos as well as IMoLIN's name and logo are being used for fraudulent purposes. 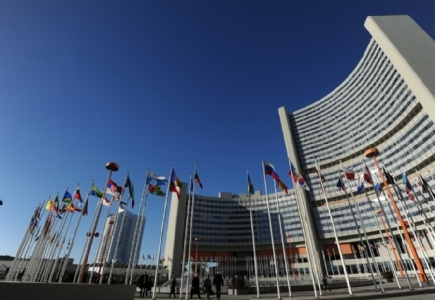 Criminals who fraudulently claim to be from UNODC, request victims to pay fees for fictitious services relating to the verification of the origin of funds and claim that the funds will be blocked if the customer fails to pay the fees. UNODC and IMoLIN do not have the ability to block any account or issue any certificates for anti-money laundering compliance and will never require any fees for such services, since none of these services are rendered. If you receive any fraudulent emails or letters, we suggest that you report the matter to your local law enforcement authorities. Since August 2016, GPML's training certificates contain a unique number and a verification code. To see the dates of the training course and the numbers of the issued certificates, please click here. To check a certificate, please click on this link, and enter the day, month and year of the certificate, name of the participant (exactly as indicated on the certificate, case-sensitive), country of the training, certificate number and the verification code. You will receive a message if this data match and the certificate is genuine. To see an example of the UNODC GPML training course certificate, please click here.